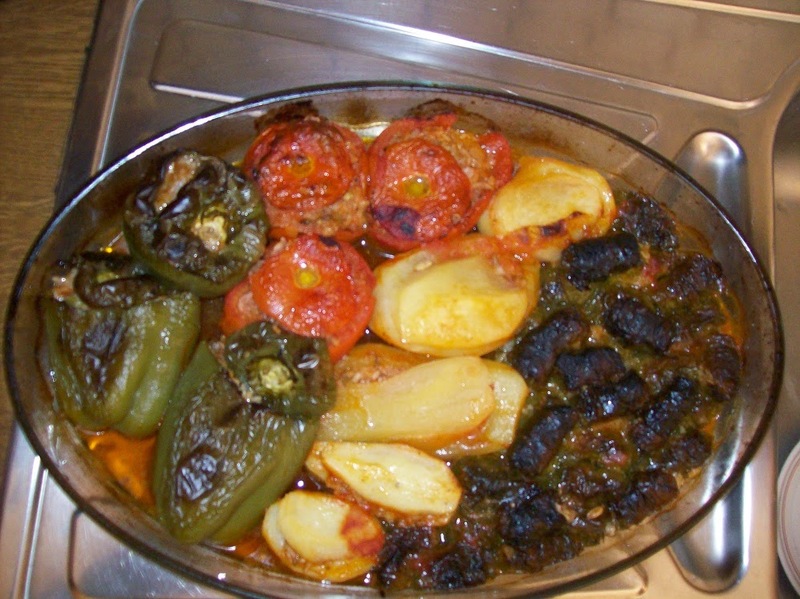 Cretan cuisine is characterized by frugal ingredients, pure tastes, and simplicity. 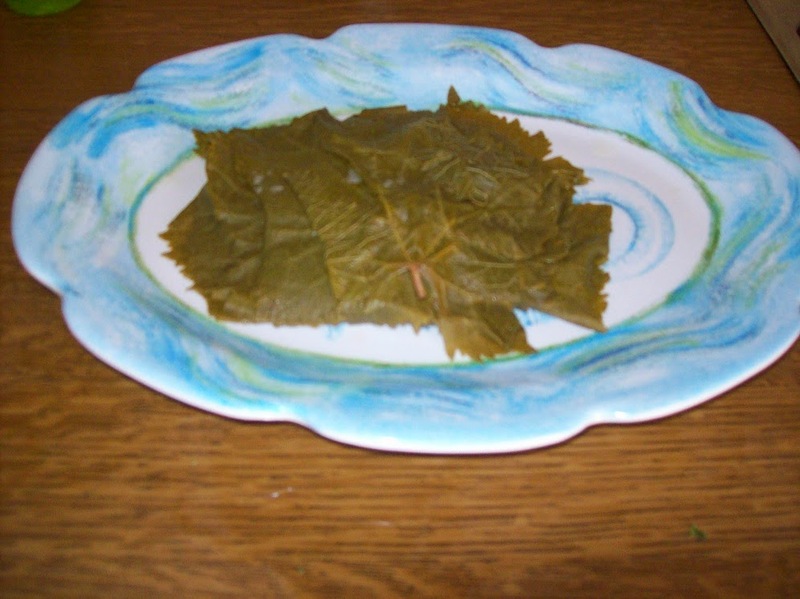 The natural and fresh are always the favorites for Cretan women that manage the Cretan flora with inventiveness, and make simple foods with different flavours based on what the Cretan land has to offer like lleafy vegetables, vegetables from the mountains and unique herbs, are the masters on Cretan tables. In the past, Cretan women used to work in the fields all day with the rest of the family, so they didn’t have much time for cooking. For this reason, food had to be simple, easy to prepare but strengthening and tasty at the same time. For someone to understand the taste of a place- even an experienced cook- needs to live the women of the place in their houses and experience how they make the stuffing for the Gemista, how they wrap the Dolmadakia! Gemista an - absolute VEGAN meal - is part of the pure and healthy Cretan and Greek traditional cuisine taking full advantage of the ingredients that mother earth had to offer and consists of baked stuffed vegetables (tomatoes, peppers, eggplants, zucchinis’ or other vegetables hollowed out and baked with rice grated fresh tomatoes, onion, olive oil and herb filling. 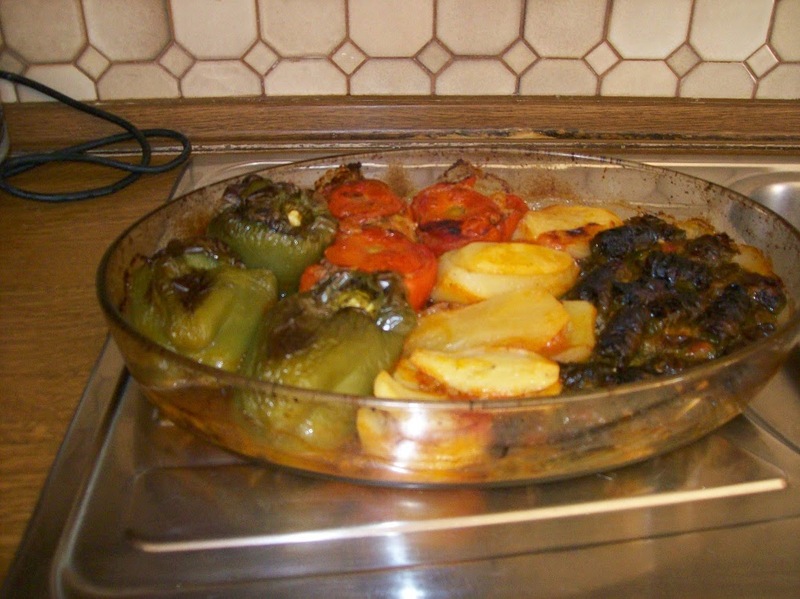 Basic ingredients are: tomatoes, peppers, eggplants, zucchinis’ or other vegetables hollowed out and baked with rice grated fresh tomatoes, olive oil and herb filling. reserving only the insides of the tomatoes. 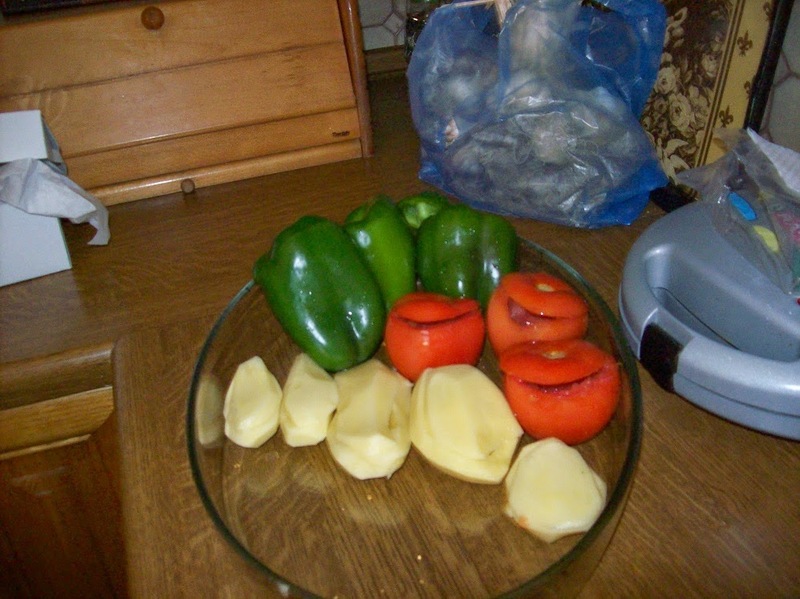 Remove seeds from peppers. 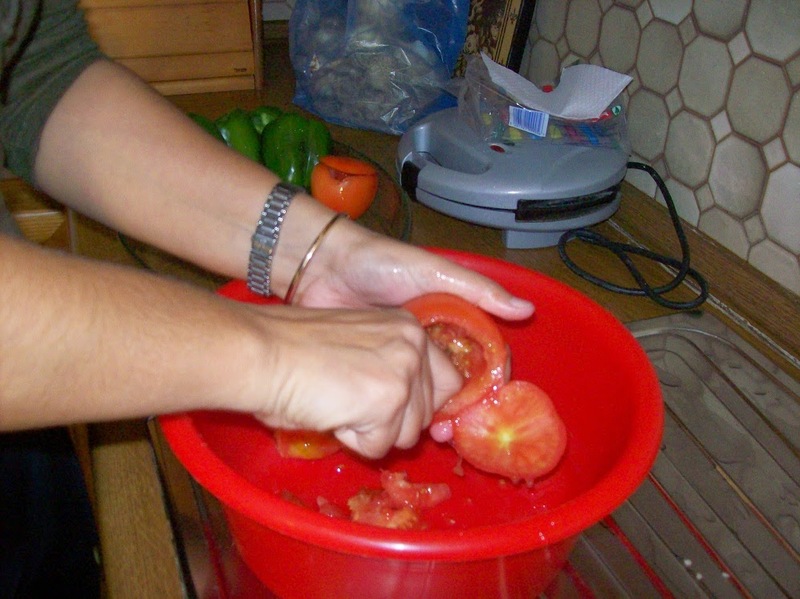 Grate the insides of the tomatoes and turn them to tomato juice. Cut finely the onion, parsley, dill, mint. Prepare the stuffing: In a large bowl combine all ingredients. 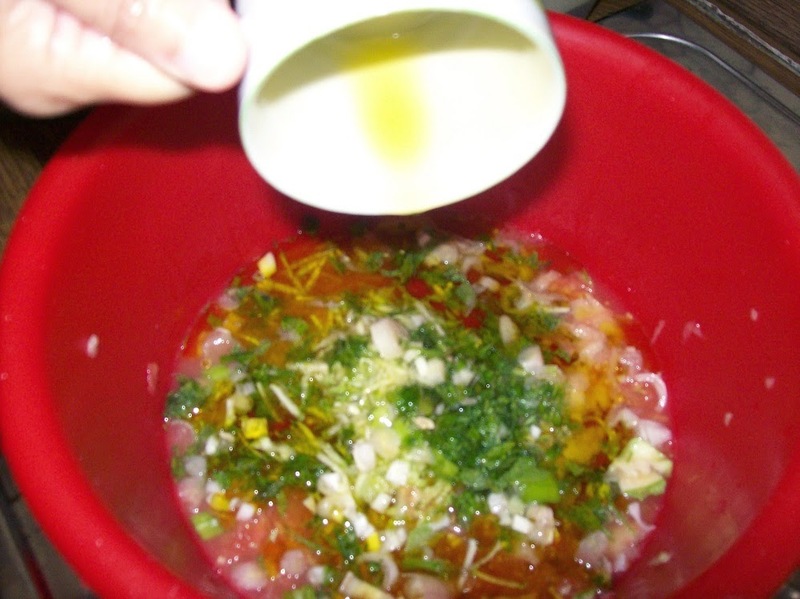 Grated tomato, finely cut onion, parsley, dill, mint, rice, the 1 cup of the olive oil, big pinch of salt, big pinch of pepper, the 2 tea spoon of tomato paste and the juice of a half fresh lemon. Mix until combined. 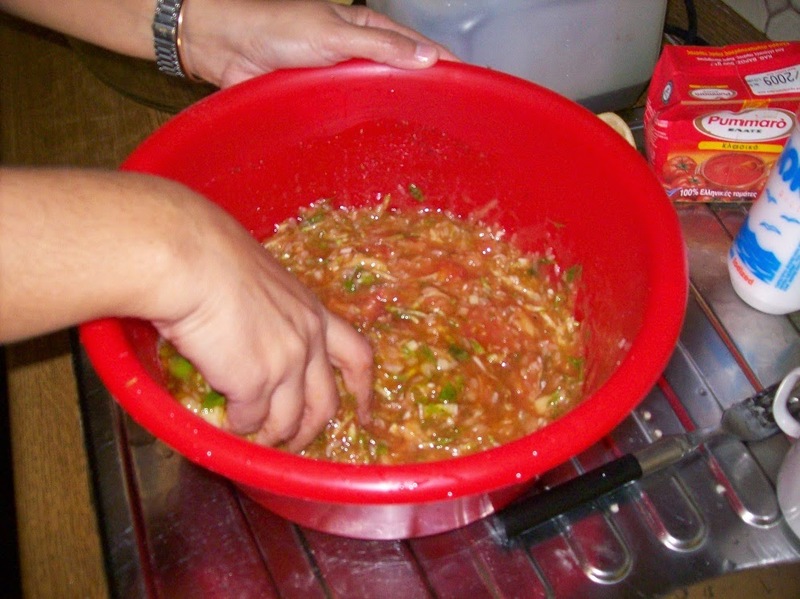 Fill the veggies with rice mixture. and place them in the pan next to the vegetables. 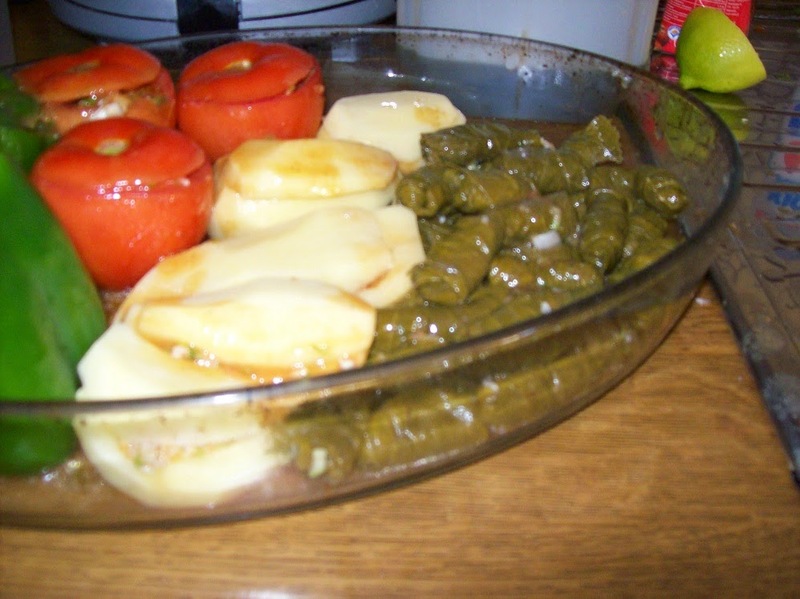 Cover with foil and bake for 60 minutes. 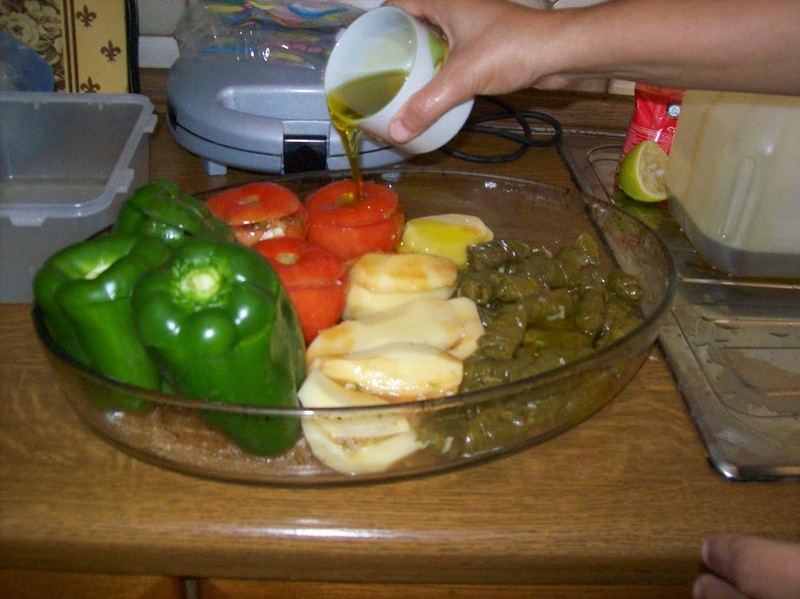 Uncover and bake until mixture is completely cooked and the veggies are tender, about 25 - 30 minutes longer. Αναρτήθηκε από George Portokalakis στις 12:36 π.μ. George Portokalakis 21 Νοεμβρίου 2014 - 4:25 π.μ. 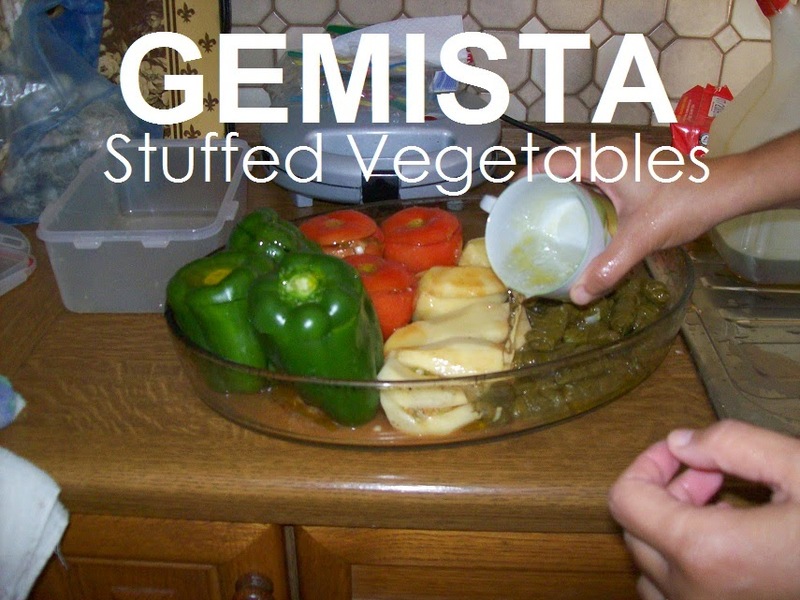 GEMISTA: Home cooked VEGAN meal! ENJOY!! !